Copy the text in the value data field into Notepad. Search for the value below in the notepad file. Copy it out and then delete it, make sure there is only one comma remaining in the section of text you’ve deleted it from. Paste it at the beginning of the notepad file. AOL requires this has to be the first one that it reads when looking thru this attribute, not sure why exactly but changing this works. 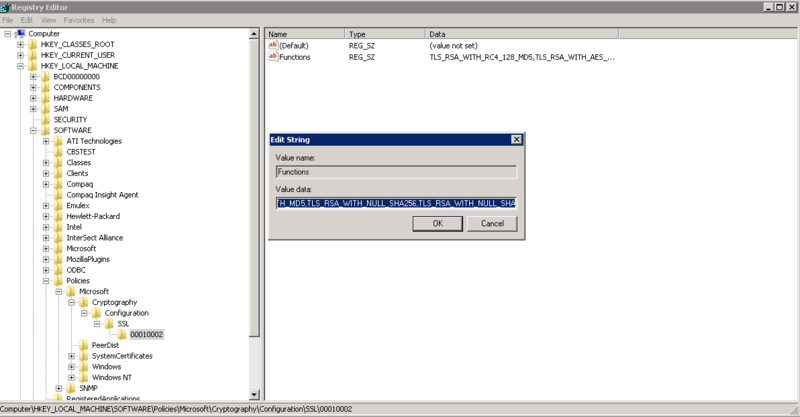 Paste the update text in your notepad file back into the value data field of the registry key. Make sure you test this out and verify all of the settings look correct, in a lab wherever possible. After completing this on your Edge servers I would recommend a reboot of each Edge server. I tried restarting Lync services but it really didn’t take effect until all Edge servers were fully restarted.